Kevin Harvick started 39thand finished 12th. The No. 4 Busch Ford started at the rear of the field after a wreck in practice on Friday forced the team to a backup car. Harvick had raced his way into the top-15 by lap 46, when the race was stopped for 25 minutes for rain. The No. 4 Ford continued toward the front of the field and reached the 12thposition by the final caution of the stage on lap 120. The team came to pit road for four tires, fuel and adjustments on lap 121 before the end of the stage. Harvick raced his way from the 16thposition up to 12th in the final one-lap shootout to the end of the stage. Started fifth, finished eighth, scoring three bonus points. Harvick and the team opted to stay out at the end of Stage 1 and moved up to the fifth position for the start of Stage 2. The No. 4 Ford was racing in the ninth position on lap 204 when the race was postponed until Monday due to inclement weather. Harvick came to pit road under caution shortly after the race resumed on lap 212 for four tires and fuel. The No. 4 Busch Beer Ford restarted 10thon lap 217 and raced up to the eighth position by the end of the stage. The Busch Ford came to pit road for four tires, fuel and an air pressure adjustment at the conclusion of Stage 2. Started eighth and finished seventh. The Busch Ford suffered from loose handling early in the stage and dropped one lap down on lap 320. The No. 4 car returned to the lead lap when Harvick was awarded the free pass under caution on lap 324. Harvick raced up to the eighth position when he came to pit road under caution on lap 360. The No. 4 team made two trips to pit road under caution to fix a loose wheel and restarted 15thon lap 365. Harvick took fresh tires again under caution on lap 391 and utilized the high lane to drive up to fifth by the final caution on lap 473. The Busch Ford restarted eighth with 23 laps remaining and gained one position to finish seventh. Harvick’s seventh-place finish was his sixth top-10 of 2018 and his 18thtop-10 in 35 career NASCAR Cup Series starts at Bristol. 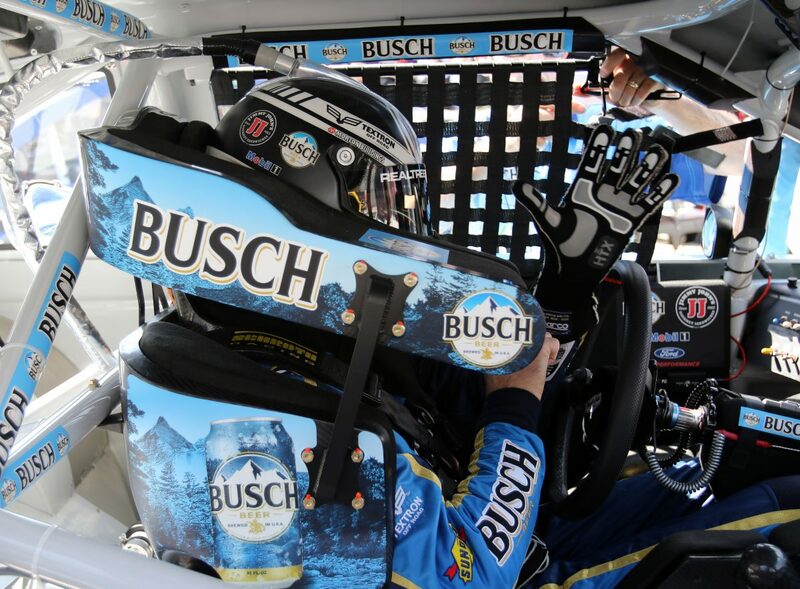 Harvick finished eighth in Stage 2 to earn three bonus points. There were 13 caution periods for a total of 114laps.